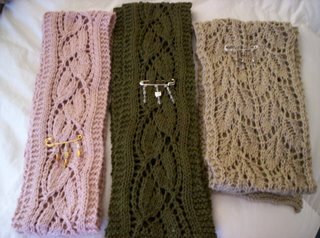 Here's my three scarves I gave Mom, sister 1 and sister 2 for Christmas. Two Dayflowers and Liesel. 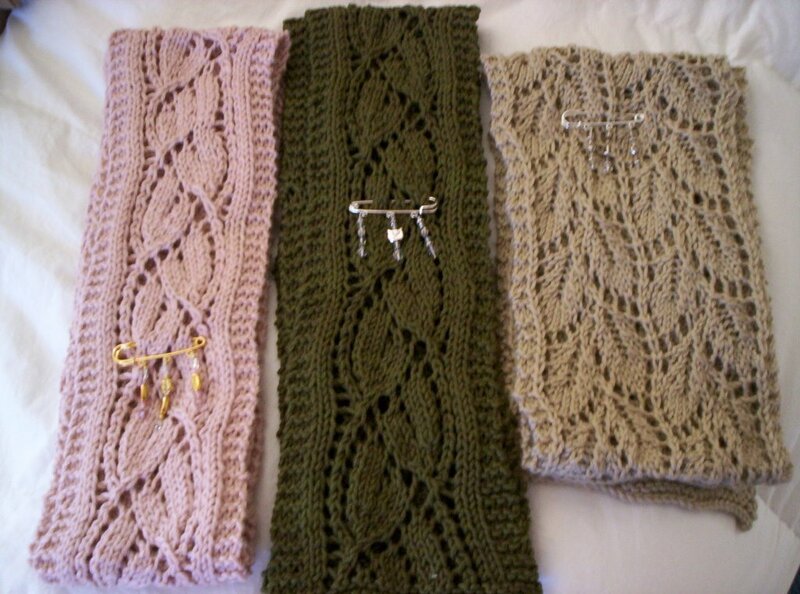 The pink Dayflower is Debbie Bliss Cashmerino, as is the Liesel, and the green Dayflower is Lambs Pride Cotton. I enjoyed working on them all, but three Dayflowers would have sent me to the Funny Farm. 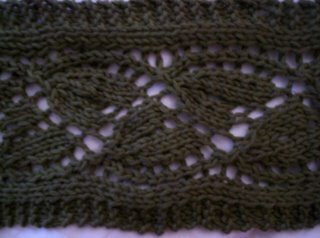 The Liesel was easy, but there was little rest because the purl rows have some knit stitches here and there. 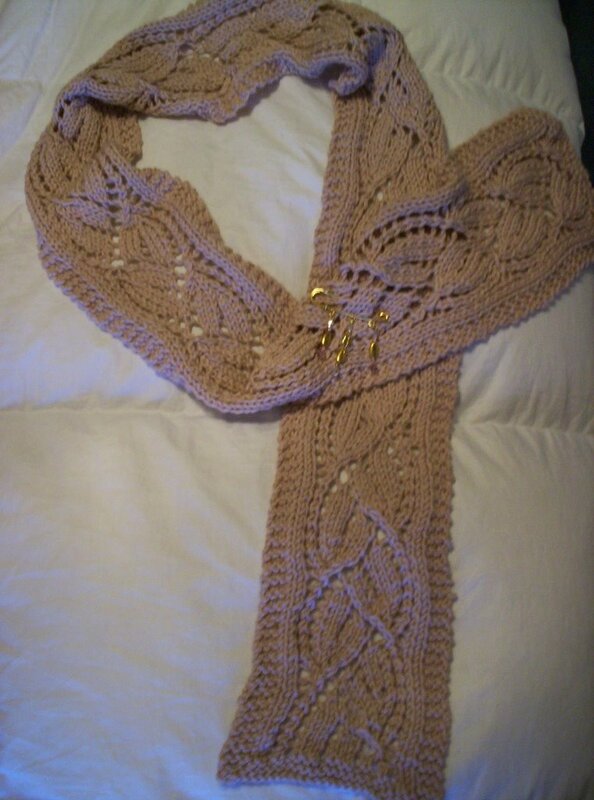 I'm hooked on lace now. 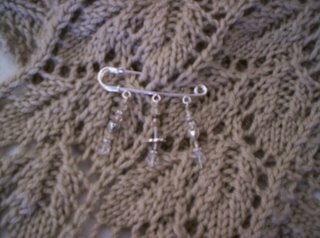 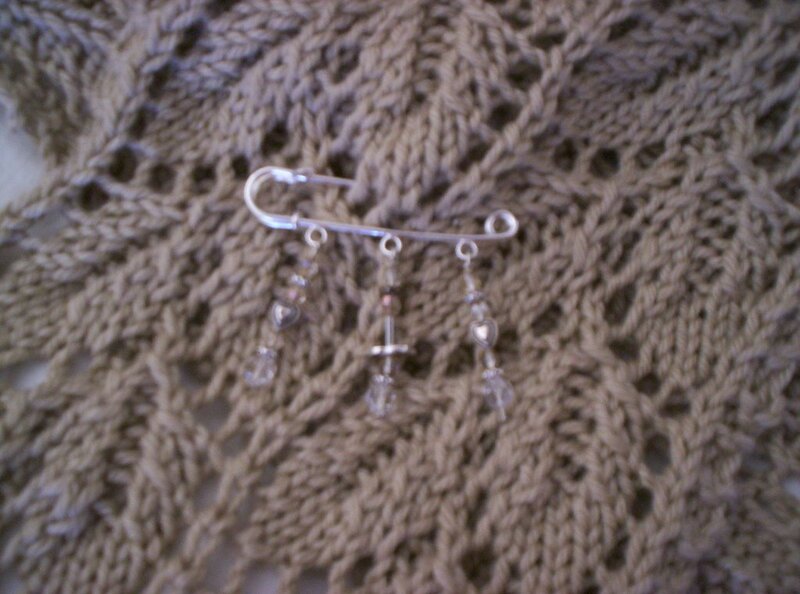 I made a scarf pin (a kilt pin actually) for each.